The bodies of humans and other animals hold on to assaults like these for years. We adapt. But each assault causes “stuck” points: fascia thickens, unbalanced muscle patterns develop. In time, headaches, pain, loss of energy or illness result. With release of these blockages comes relief. How do we create release? At Heal and Flow we support the body to heal itself. Through a combination of massage, hands-on healing and energy work, body tightness melts away. Blood, lymph and energy flow better, pain recedes, and the life force increases. Practitioner and client, working together, jump-start and intensify the healing process. Through treatment, you’ll gain skills to enhance your well-being for the rest of your life. 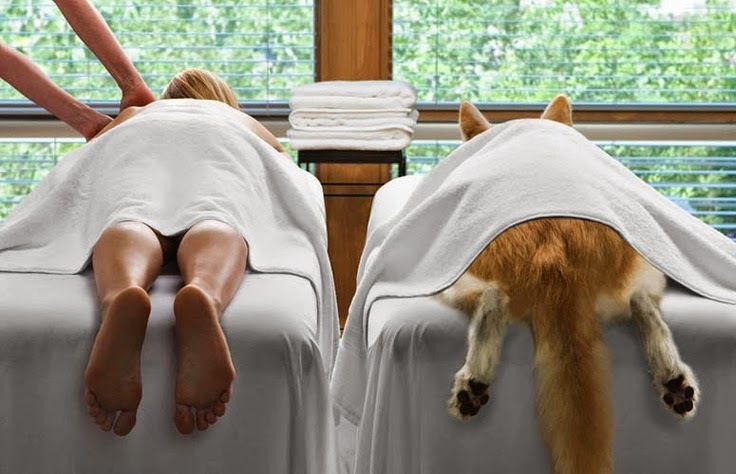 Both you and your animal companions will benefit from a session today. Individual and buddy pack sessions available. "Felt like I'd had a 3 week vacation in just a short time on her table." Prices willl increase on March 10, 2019. Pre-buy your sessions now to save in the future! © Copyright 2019 Heal and Flow. All rights reserved.